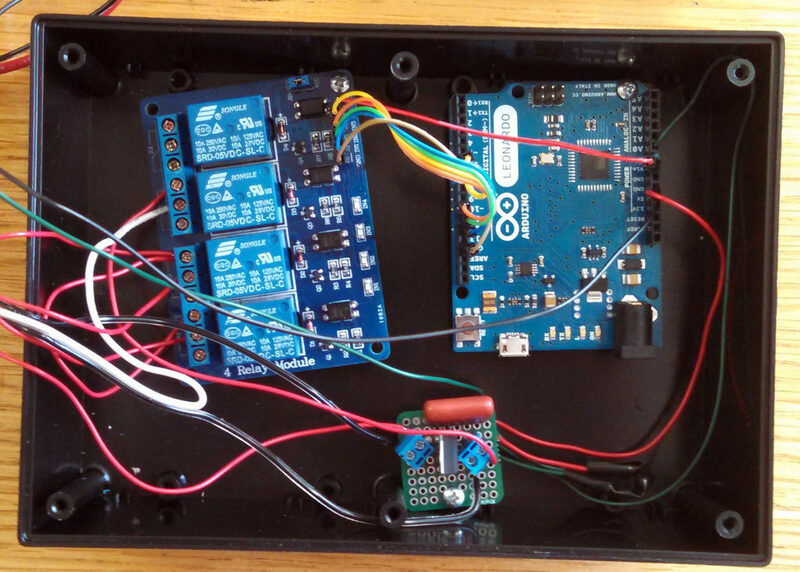 For this set of requirements, the obvious solution is a microcontroller and it is hard to beat an arduino for accessibility and ease of use. After looking at some spec sheets, we chose the Leonardo due to its native USB communication and the compatibility with Arduino Micro for future flight electronics. Just like you start a pluming project with a P&ID, you start a electronics project with a circuit diagram. Below is the diagram for the igniter stand as it is currently built in a breadboard configuration. 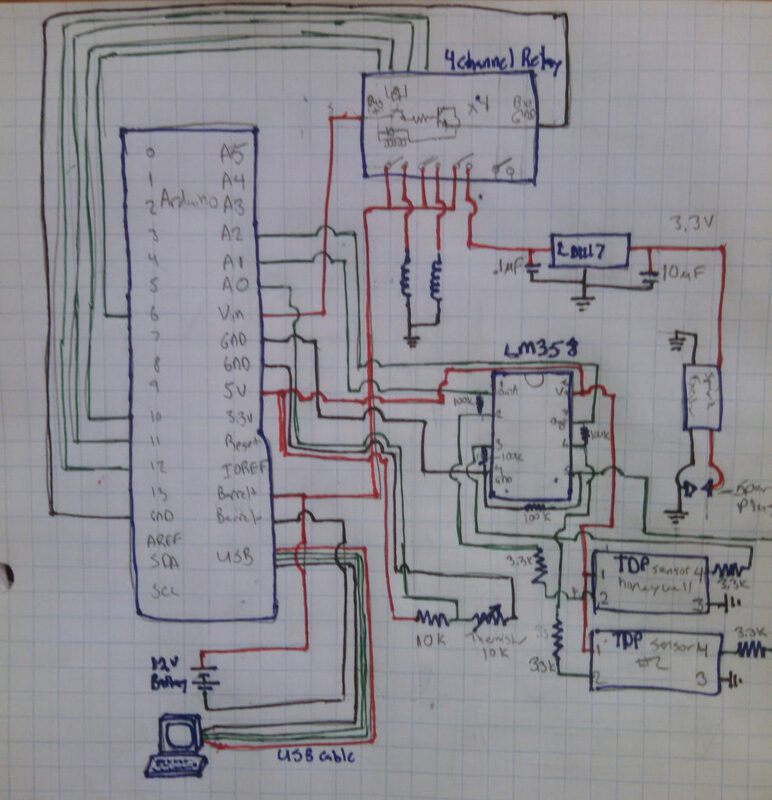 The schematic gets cluttered in a hurry. It is actually about as complicated to prototype as it was to sketch out. The pressure transducers and op-amp breadboard. 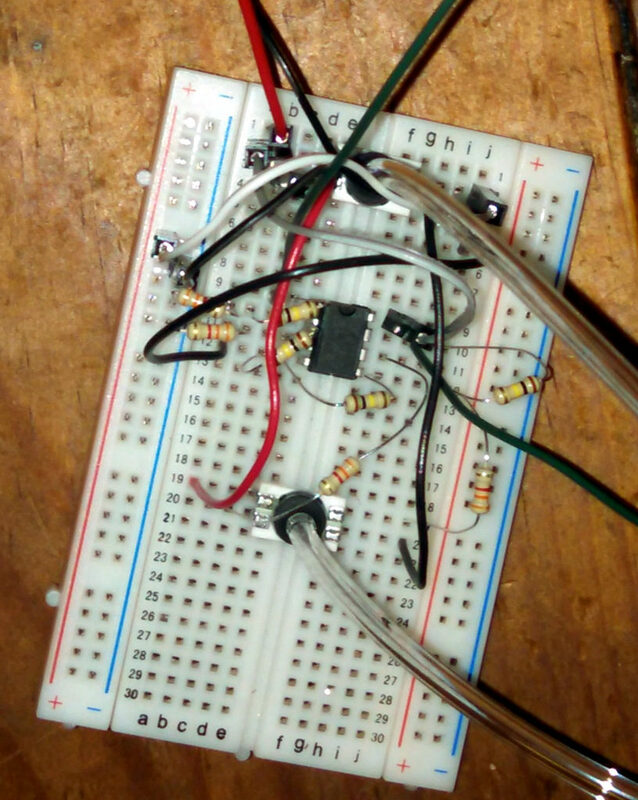 It works well enough in a breadboard, but anything more long term should be soldered. Arduino, Relay Board, 3.3 V regulator. There is also a 3.3 V channel out of the Arduino, but we need ~0.5 amp so we had to used a stand alone regulator. Now, everything shown above is sufficient to build a copy of the electronics, but you will need the software which we will post about tomorrow before you can run the stand. Some of the important components are listed below. Relay Board – SainSmart 4-Channel Relay Module or similar. Note that it is a High Level trigger! Op Amp – LM358. And an good site for op amp theory. Pressure Transducers- TBPDANN150PGUCV This is a non-amplified sensor, which is why the op amp is necessary. It is also very cheap at $20.00, but it really complicates the design. If we were going to do this over, and we will, we would buy some amplified transducers at $60.00 instead. Thermistor- Finally the thermistor I used and a nice tutorial from adafruit on general thermistor properties.